With an area of 9,365 square kilometers (3,616 square miles), Ningbo is located east of Zhejiang Province and south of the Yangtze River Delta with Hangzhou Bay to the north, Shaoxing to the west, Taizhou to the south and Zhoushan to the north-east. It is very rich in natural scenery and cultural heritages owing to its unique geographical position and historical reasons, and it’s one of the famous historical and cultural cities in China. With a long history of over 7,000 years, Ningbo is the cradle of Hemudu Culture in history, which served as one of the starting points of the Marine Silk Road along with Guangzhou during the Tang Dynasty (618-907), and it was listed as one of the three trading ports along with Guangzhou and Quanzhou during the Song Dynasty (960-1279）. Ningbo was one of the five trading ports along with Guangzhou, Shanghai, Fuzhou and Xiamen after the Opium War. Now Ningbo Port has become an important part of the Shanghai International Shipping Center. Ningbo is also a famous overseas Chinese hometown in China, as over 300,000 people who were born in Ningbo now live in more than 50 countries of the world. Ningbo is not only a famous historical and cultural city in China, but it’s also a tourist destination for visitors, where the noted attractions include the following. Xikou-Xuedoushan Scenic Area, a fantastic scenic area known for its historical connotation and beautiful scenery of lakes and mountains. 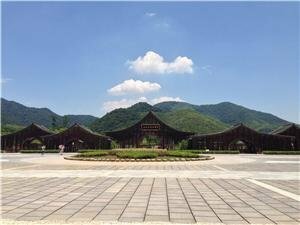 As the hometown of Chiang Kai-shek, Xikou Scenic Area is famous for its antique cultural atmosphere. Xuedoushan Mountain Scenic Area is famous for its cascading waterfalls, grotesque gorges, dark forest and erect peaks. Dongqianhu Lake, the largest inland freshwater lake in Zhejiang province, was formed owing to geological movements in ancient times. Tiantong Forest Park, a comprehensive park with a temple, forest, grotesque stones, odd caves, a sea of clouds and glowing sunsets combined into one. Siming Lake Holiday Resort, a famous holiday resort known for its isles, waterfalls, streams and springs, as well as a variety of aerial birds. In addition, a number of temples are also available in Ningbo, highlighted by Tiantong Temple, Baoguo Temple, Ayuwang Temple and Xuedou Temple. Tianyi Pavilion is famous for its rich book collections, where the steles, gardens, bridges and water stages are magnets for visitors. Ningbo belongs to the subtropics monsoon climate region with a moderate climate and four distinctive seasons, where the annual average temperature is 16.2°C (61°F) with the hottest temperature of 28.8°C (84°F) in summer and the coldest temperature of -4.2°C (40°F) in winter. Ningbo has more than 230 non-frost days each year, where the annual even precipitation ranges from 1,300 to 1,400 millimeters, and the rainfall is mainly concentrated in May, June, July, August and September. The best time to visit Ningbo is in spring. Ningbo’s dishes are also known as Yongbang dishes, featuring a combination of saltiness and freshness, with an emphasis on cooking techniques such as steaming, roasting and stewing (seafood). 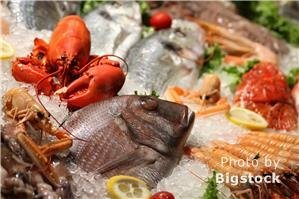 Shipu Seafood Corridor, Xinhua Road and Seafood Street are good places for visitors to taste Ningbo’s seafood. Ningbo City God Temple is an ideal site for tasting the authentic snacks of Ningbo, including Steamed Buns Stuffed with Pork and Crab Roe, Fried Dumplings with Rice Sticks and Stuffed Lard, and Sesame Dumplings. The top Ningbo dishes are represented by Steamed Turtle in Crystal Sugar Soup, Deep-fried Eels, Bean Curd Sheet Wrapping Yellow Fish, Steamed Pork Wrapped in a Lotus Leaf and Goose Liver Rolled with a Lard Net. Here is a list of famous restaurants in Ningbo. The restaurant is famous for its elegant dining atmosphere, where the price for seafood is rather reasonable, and its signature dishes are Scallops with Scallion Oil, Steamed Fish and Braised Egg with Cuttlefish Eggs. The restaurant is famous for its authentic Ningbo dishes as well as various fresh seafood options. The restaurant is over 100 years old and famous for its Tangyuan (Glutinous Rice Balls). The restaurant is well-known for its Sichuan-style hot pots, featuring authentic Ningbo seafood as an ingredient. Hotels of various levels in Ningbo offer visitors an excellent atmosphere. For those visitors who want to stay in the downtown area, you’re highly recommended to book a hotel near Tianyi Square and Ningbo City God Temple, where the famous attractions such as Moon Lake and Tianyi Pavilion are distributed. For those who have little time, you’re advised to book a hotel near Ningbo Bus Station and Ningbo Railway Station, and here is a list of highly recommended hotels in Ningbo for your reference. Ningbo is convenient for various modes of transportation, including airways, waterways, railways, highways, buses and taxis. Lidu Airport is 13 kilometers (8 miles) south-west of Ningbo city center, with over 40 domestic and international flights from and to major cities, such as Beijing, Shanghai, Guangzhou, Seoul and Hanoi. The airport shuttle buses between Lidu Airport and Aviation Mansion (91, Xingning Road, Ningbo) operate every hour from 5:45 am to 6:00 pm each day, stopping at Fubang Hotel. Located by the East China Sea and south of the Yangtze River Delta, Ningbo is richly endowed by nature with water resources. The ferries from Daxie Passenger Pier (on Binhai East Road, Daxie Development Zone, Ningbo) and Jiangbei Pier (at 380, Zhongma Road, Ningbo) to Zhoushan, Shenjiamen, Putuoshan Mountain and Shanghai are available each day. Buses 1, 4, 11, 13, 19, 20, 516, 541, 801 and 811 will take you to Jiangbei Pier from Ningbo city center. Ningbo Railway Station is located on Nanzhan East Road, Haishu District, Ningbo, where the direct trains to and from Guangzhou, Shanghai, Beijing, Nanchang, Nanning and Kunming are available each day. As the longest spanning sea bridge in the world, the 36-kilometer long Hangzhou Bay Bridge starts at Ningbo in the south and ends at Jiaxing in the north, which greatly narrows the distance from Ningbo to Shanghai by bus. There are five major bus stations in Ningbo, which are listed as follows. The buses from this station mainly leave for Shanghai, Hangzhou, Linping, Xiaoshan, Shaoxing, Shangyu, Yuyao and Yandang. The buses from this station mainly depart for Xianghan, Shipu, Ninghai, Fenghua, Xikou and Yuyao. The buses mainly leave for Shanghai, Lishui, Zhoushan, Cixi, Yuyao, Shaoying, Zhuji, Shangyu, Yandang and Putuo Mountain from this station. The buses mainly depart for Jiangsu Province, Anhui Province, Tiantong and Ayuwang from this station. The buses leaving for Hengjie, Aizhong, Zhusilan, Wangxiangang, Shangyao and Mao’ao are available in the station. The starting price of a taxi in Ningbo is 8 yuan for the first 4 kilometers (2.5 miles), after which you’ll be charged 1.8 yuan per kilometer from 6:00 am to 10 pm plus an extra 1 yuan fee for fuel. The starting price is 8.8 yuan for the first 4 kilometers (2.5 miles) from 10 pm to 6 am the next day. The buses in Ningbo are all self-service buses, and it costs 1 yuan for the common ones and 2 yuan for the air-conditioned ones.